Ever see Dirty Dancing? Podcasting is the comedy-nerd equivalent. The performances your favorite comedians are doing after hours in the staff-only area of Kellerman’s, without compromise and to the very top of their ability. For 10 years of Comedy Bang Bang, Scott Aukerman’s been hosting strange characters and hilarious comedians in Earwolf’s studios here in Hollywood. Bringing back beloved regulars like Carl Tart, Paul F. Tompkins and Lauren Lapkus, introducing the best emerging talent, like Natalie Palamides, Tawny Newsome and Ego Nwodim, inviting you to join them in the room and listen in. There was a time (11 years ago) that you’d need to live in LA or New York to get access to this kind of show. Podcasting brought this comedy to those of us in towns and villages all across the globe. Podcasting gave us direct access to the good stuff — the funniest comedians, uncensored, pure, making each other laugh. Podcasting lets you glom onto these geniuses like Baby Houseman did to Patrick Swayze. You get to be in the secret gang, hear the jokes that are just for us. You get to Dirty Dance with Scott Aukerman. This is just like comedy podcasting. Colin is responsible for overseeing all of the shows on our Earwolf comedy network! He worked as a staff producer at the BBC Radio Comedy in London. In 2014 he moved to Los Angeles to get into podcasting full-time. Now you’re probably thinking, what comedy podcasts should I check out? Lucky for you, we reached out to some of our favorite comedy podcasters to find out what they are listening to. 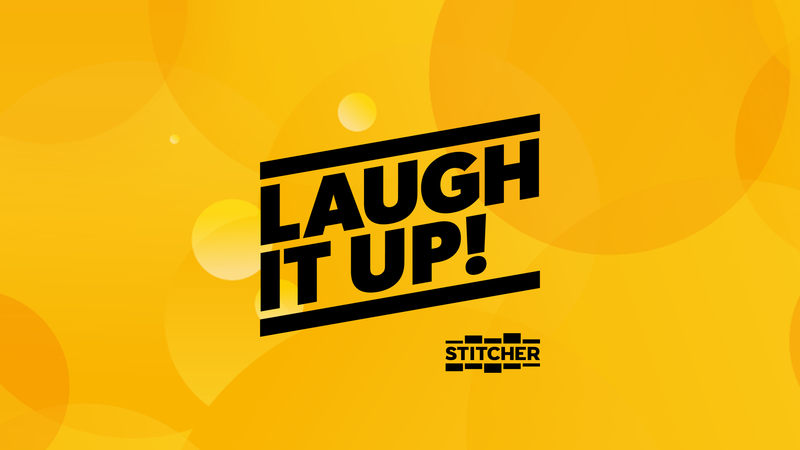 You can find picks from people like Amir Blumenfeld, Amanda Seales, Ian Karmel, The Doughboys, and more in the “Laugh It Up” category in the Stitcher app. Let us know what comedy podcasts are your favorite on Twitter, Facebook, and Instagram.